Live two blocks from the beach and enjoy all Belmont Heights has to offer! Step into your ground floor, open condo bathed in natural light that illuminates your gorgeous original hardwood floors. You'll love spending time in your open living room with a fireplace and your beautifully remodeled kitchen. You have a desk area in the hallway to conveniently have a work or study space, a spacious bedroom, and remodeled bathroom. Walk or bike to the beach, shops and restaurants! Naples Island 3 Bed 1 ½ Bath Home with 1,263 Sqft of Living Space Situated on an Oversized Lot and a Half with 3,231 Sqft. This Home Features Hardwood Floors Throughout, a Large Living Room with Warm Brick Fireplace, a Formal Dining Room with French Doors to the Side Patio, Bright Kitchen with Lots of Cabinets. Additionally, a Large Back Bricked Entertaining Patio, a 2-Car Garage with Laundry, Newer Roof and Central Heating. All Situated in a PRIME Naples Location within Walking Distance to the Canals, Alamitos Bay and the Wonderful Boutique Shopping and Unique Local Dining. Exquisite, Must See! Great Location in highly desirable Naples. The 3 bedroom, 2 bath home features refinished original hardwood keeping some essence of its original charm and character yet still providing all the modern upgrades one would expect. Upgrades include new paint inside and out, remodeled kitchen featuring new modern shaker cabinets with quartz countertop, and stainless-steel appliances. Central heat and air included. The home is complete with its own Guest House. Great for a family member or just renting out to a tenant for $2000/month. Main house is 1008 SF and the Guest House is about 400 SF, which includes 1 bath and full kitchen. 2 Car Garage in rear yard. Property surrounded by custom wrought iron frame and adorned with radiant redwood for the fencing. Great neighborhood and excellent Walk Score located adjacent to the canals and beach in addition to restaurants, bars, and many other retail shops! Naples is a unique community in Long Beach, California that was built on three islands in Alamitos Bay. Naples is divided by canals that eventually open up into the bay. There are many Italianate named streets and the center of the neighborhood is adorned with a large fountain and meeting spot. There are several private education facilities including Cambodian Christian School, Parkridge Private School, St. Anthony High School, Oakwood Academy, and Los Altos Brethren School. This community is served by the Long Beach Unified School District with facilities such as Wilson High School as well as highly ranked Naples Elementary School and Rogers Middle School. This is also the home of California State University, Long Beach as well as Long Beach City College, DeVry University, and Pacific Coast University School of Law. There are many things to do in this community. The Marine Park which is known as “Mother’s Beach” offers volleyball courts, picnic areas, shallow swimming, gentle waves, and playgrounds. Gondola trips are available for those who want to take a romantic ride along the canals. This is one of only eight cities in the Western United States where you can take a gondola ride. Naples is known for its Christmas Boat Parade which began in 1946. Out on the bay, visitors can rent kayaks, hydro bikes, and stand up paddle boards. 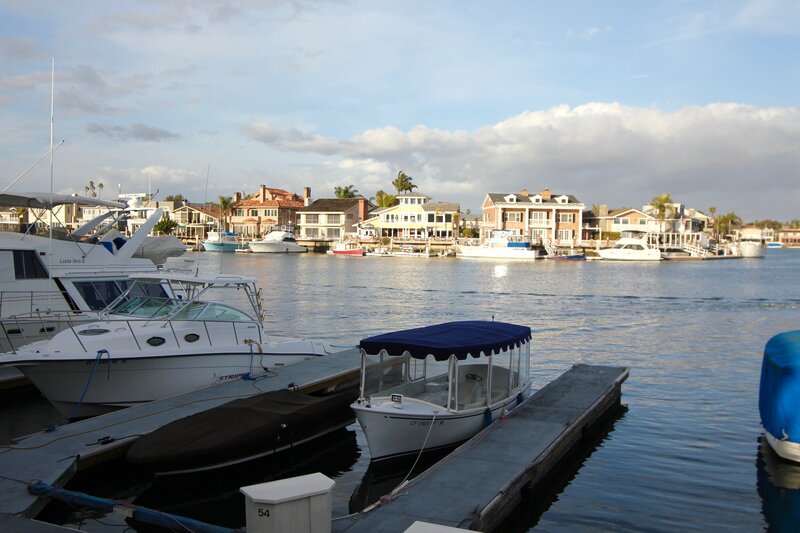 The Naples Plaza has a beautiful view of Seal Beach and Los Alamitos Bay. And La Bella Fontana di Napoli a great place for picnicking. There are many restaurants and shops in Long Beach as well as centers like Long Beach Town Center, Marina Pacifica Mall, and City Place. And to the north you’ll find Recreation Park Golf Course and the Bixby Village Golf Course.